This week's Parasha-Page has been dedicated to the memory of Avi David Guberman Z"L by his brother YBL"T, Joel Guberman, to whom I am grateful for providing me with some of the very interesting information presented in this issue. The Bnai Yisroel shall put on the Tzitzit of the corners [=ritual strings that hang from the corners of four-cornered garments] a string of Techelet [=wool dyed with a certain blue dye]. Techelet is only kosher if it is made from the Chilazon; if it is not made from the Chilazon it is invalid. The Techelet (or Biblical Blue) dye is mentioned dozens of times throughout the Tanach, usually together with another dye named Argaman (Royal, or Tyrian, Purple). In the ancient world these two dyes were extremely valuable -- they were worth many times their weight in gold. Clothing dyed with these pigments were generally reserved for royalty, or at least for high ranking nobles. Techelet and Argaman were also used for dying the priestly garments worn by the Kohanim in the Holy Temple. In Parashat Shelach the Torah gives every Jewish man the right -- even the obligation -- to wear a string of this royal Techelet on his garments. Perhaps the inclusion of Techelet in our Tzitzit was also meant to demonstrate the idea expressed in the Mishnah: "All the Bnai Yisroel are like sons of *kings*" (Shabbat 111a). The Midrash puts it even more succintly: The Techelet reminds us of the dominion of Hashem Himself. It is attached to our garments to show all that we are none other than His own children! (Socher Tov Tehillim 90, "V'Hadarcha Al B'neihem"). Throughout the times of the Mishnah and the Talmud the Techelet string was included in the Tzitziot of the men of Israel. 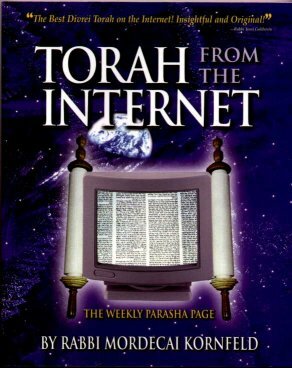 Even the later Amora'im [=sages of the Gemara] who lived in Babylonia -- far from the Mediterranean coast, where the Techelet was produced -- had Techelet (Menachot 43a Sanhedrin 12a). Unfortunately at some point after this time the art of the manufacture of Techelet was lost, and its use discontinued. This is already apparent in the later Midrashim (Bemidbar Rabba 17:5; Tanchuma, end of Sh'lach) which mention that the Techelet has been "hidden away" ("Nignaz"). It is conjectured that the production of Techelet ceased some time in the seventh or eighth century, perhaps as a result of the devastation and upheaval caused by the Arab conquest of Eretz Israel in 683. What exactly is this Chilazon from which the Techelet dye is extracted? Is it possible to reconstruct the long-lost art of Techelet production? What is the nature of the Techelet that some men wear today on their Tzitzit -- is it authentic or just an "artificial" substitute for the real thing? Let us take an excursion into the world of the Chilazon and the Techelet dye and see if we can unravel some of the mystery that pervades this fascinating subject. Before we start, it must be pointed out that in the field of Techelet research a great debt of gratitude is due to the former chief Rabbi of Ireland and later of Israel, Rav Yitzchak Isaac Herzog, who did a major study on the topic at the age of 24 for his doctoral thesis. In it, he combines his exceptional scholarship in 8 different disciplines and 12 languages, not to mention a tremendous erudition in Judaic sources. To this day his thesis remains *the* basic, authoritative work on the subject, from both a scholarly and a Talmudic standpoint. The thesis, originally written in English in 1920, was later adapted into a Hebrew version by the author and published in installments in the periodical "HaHed," from 1932 to 1935. The Hebrew version was recently reprinted in full in the book "HaTechelet," by Rav Menachem Burstein (Jerusalem, 1988, pp. 352-437), an excellent work which sums up all of the Techelet research which had benn done until that date. The longer English version of Rav Herzog's thesis was printed in Israel in "The Royal Purple and the Biblical Blue," edited by Ehud Spanier (Keter, 1987). What color is the Techelet dye? Here we have very clear, specific information. The Gemara in Bava Metzia 61b says that (CLUE #1) the color of Techelet is indistinguishable from that of indigo ("Kala Ilan" -- see Sefer Ha'Aruch). When it comes to the Chilazon, though, the information we are given is much more sketchy. From where does the Chilazon -- the source of the Techelet dye -- come? In Yechezkel 27:7 we read that (CLUE #2) the most professional production sites of Techelet were to be found in "the islands of Elishah," which have been identified as either Italy (see Targum, ibid.) or Cyprus. The Talmud tells us in several places that (CLUE #3) the only place Techelet was to be found in Eretz Yisrael was in the territory of the tribe of Zevulun, which was along the Mediterranean coast from Haifa and northward to Tyre (Shabbat 26a, Megilla 6a). The body of the Chilazon (CLUE #4) resembles the sea (alternate reading: resembles the sky), and (CLUE #5) its body is similar to that of a fish. (CLUE #6) It comes up once every seventy (alt. reading: seven) years. (This may be an exaggeration employed to emphasize the scarcity of the species -ed.) The Techelet dye is obtained from its blood [=secretion], and it is therefore very expensive. Another hint to the nature of the Chilazon is given in Shabbat 74b, where we are told that (CLUE #7) the Chilazon was gathered from the sea in nets. Tosafot (to Shabbat 73b "Mefarek," 75a "Hatzad"), apparently basing his words on the above Gemara in Shabbat, intimates that the Chilazon is a type of fish, which squirms around in the net after it is caught. A similar view is expressed by Rabbenu Bachye in the beginning of Parashat Terumah (25:3), where the Torah mentions three dyes used in the construction of the Mishkan [=the movable Tabernacle of the desert] -- Techelet, Argaman and Tola'at Shani. The last of these three dyes is generally understood to mean "scarlet from a worm." Rabbenu Bachye asks how this is possible, since the Gemara (Shabbat 28b) says that only products which are kosher to be eaten were used in the Mishkan, and worms -- or their secretions -- are not kosher! He therefore explains that the scarlet dye in question was not actually taken from worms, but from some sort of berry that *contained* the worms. Following this approach, it may be concluded that the Chilazon, which is a sea creature, must be a regular fish, with fins and scales, for these are the only kosher sea creatures. The approach of Rabbenu Bachye, however, is quite difficult. It seems clear from the Talmud Yerushalmi (Kilayim 9:1), and it is also a known fact, that the scarlet dye of Tola'at Shani was indeed extracted from a worm (the female Kermococcus vermilis, an insect that breeds on a certain species of oak) and not from a berry. Rabbeinu Bachye's words are therefore very hard to accept (-a copyist's error in the piece cannot be discounted). As far as how a non-kosher creature could be used in the manufacture of an item for use in the Mishkan, we must say that it is only the actual *materials* used in the Mishkan which were subject to this rule, not the dyes. The pigments, which are not tangible objects in the finished product, were not included in this prohibition. If this is so, we are not bound to assume that the Chilazon was any more a kosher creature than the Shani worm. If the Chilazon may be a non-kosher fish, will that help us to conjecture as to its nature? In the late 19th century a talmudic researcher by the name of Yehudah Levisohn proposed his work "Talmudic Zoology" (p. 284-5) that the Chilazon was a type of squid known as the cuttlefish. Levisohn based his conclusion on an inference from a statement of the Rambam in Hilchot Tzitzit 2:2. Shortly afterwards, a brilliant Hassidic Rebbe, Rav Gershon Henoch Leiner of Radzin, came to the same conclusion. He carried the conclusion one step further, though, actually developing a process whereby the sepia [=inky secretion] of the cuttlefish, which normally produces a dark brown dye, was transformed into a blue dye! The dye turned out to be identical, chemically, to a common synthetic light-blue dye invented in 1704, known as Prussian blue. The Radziner Rebbe authored three large volumes intended to prove that he had indeed re-discovered the long-lost Techelet, and set up a factory where the dye was produced. His followers adopted his opinion and began wearing the new Techelet string in their Tzitzit. With the exception of the Breslover Hassidim, however, the innovation was not accepted by the rest of the Jewish world, and his movement was even met with a substantial amount of opposition. Unfortunately, there are a number of technical difficulties with the Techelet produced according to the Radziner method. Firstly, (CLUE #8) Techelet was known to be absolutely indelible (Menachot 43b), while the Radziner Techelet can fade (a process called "bleeding") when scrubbed with common detergents (see HaTechelet p. 179). Secondly, the blue color that he produced was not the blue shade of indigo, but rather a more metallic blue (see HaTechelet p. 413). Also, the squid he used is of a species that is relatively common in the Mediterranean Sea, and this does not correspond to the statements made about the rarity of the Chilazon (HaTechelet p. 177). Furthermore, there are no more squids in the land of Zevulun than anywhere else in the Mediterranean. The only place they can be found in particular abundance is in the area of Italy (HaTechelet p. 178)! Perhaps the strongest objection to the Radziner Techelet, though, is (CLUE #9) that the word "Chilazon" is used in numerous places in Chazal as a general term meaning a snail or a snail-like object. The Chilazon of Shir HaShirim Rabba (4:11), is clearly a creature that lives inside a shell -- which a squid does not (The Radziner Rebbe's attempts to resolve this difficulty are recorded in HaTechelet, p. 174.). In Bechorot (Mishna 6:2) and in Kelim (12:1) an object with a spiral or twisted snailshell-like appearance is dubbed "Chilazon." In Sanhedrin 91a we are told that Chilazons appear on the surface of the earth after a rain. It seems clear from all these sources that the word "Chilazon" is being used in the context of "snail," and it is therefore logical to assume that the famous Chilazon which produces Techelet is a particular type of snail. Rashi (Sanhedrin 91a) indeed tells us that the Chilazon creature is a type of slug, which definitely allows for the possibility of it being a mollusk. The Gemara in Menachot was actually careful to point out that the body of the Chilazon looks *similar* to a fish, i.e. it is a fish-like sea creature. It is not a fish itself. The identification of the Chilazon as a type of snail enables us to solve another puzzle. Tosafot in Shabbat 75a ("HaTzad") quotes a statement from Talmud Yerushalmi to the effect that catching a Chilazon on the Shabbat does not constitute a violation of the prohibition against trapping or catching animals on Shabbat. Tosafot is at a loss to explain why a Chilazon should be an exception to the rule. Now that we have identified the Chilazon as a type of snail, however, the answer is obvious. There is a rule that if an animal cannot easily escape (if it is blind or wounded, etc.) then "catching" that animal does not constitute a violation of the prohibition of "trapping" on Shabbat (Shabbat 106b). Certainly a snail cannot move away easily from its trapper! It is true that the Talmud Bavli asserts that the prohibition against trapping *is* violated by one who traps a Chilazon. This should not be taken as evidence that the Chilazon is not a snail. The Talmud Bavli may agree to the Yerushalmi's identification of the Chilazon, but nevertheless prohibit its capture on other grounds. Perhaps picking out the barely discernible Chilazon on the sea bed cannot be compared to ensnaring a prominent helpless creature above the ground. But which of the many species of snails is the one which produces the Techelet dye? It was pointed out earlier that Techelet is often mentioned in conjunction with Argaman (-in fact, in the Talmudic literature, the term "Techelet" is often used to refer to either of the two). In the middle 17th century an English naturalist named Thomas Geig wrote that he found a snail which contains within it a liquid which becomes a purplish dye after being extracted from the snail and exposed to sunlight. At around the same time, someone named Saul Bochart (Hierozoicon, 1663) proved from ancient sources that Argaman was produced from snails. Shortly afterwards, researchers put the two facts together, concluding that Geig's snail was indeed the source used by the ancients to produce Argaman (HaTechelet, p.252,371,418). In fact, archaeologists have uncovered numerous ancient dye-producing factories all over the Mediterranean coast (mostly in the north-eastern area, "from Haifa to Tyre"), with large heaps of snail shells alongside them. These shells have been identified as belonging to three distinct species of snails: Purpura Haemastoma, Murex Brandaris and Murex Trunculus. That these snails were the source of Tyrian purple -- Argaman -- has become accepted as a historical fact. These snails are in fact much more numerous along the northern coast of Eretz Yisroel than along the southern coast, with their population steadily increasing as one goes north. South of Haifa, the snails are few and far between. This corresponds nicely with the description of the Chilazon's distribution that is presented by Chazal. The identities of these snails were well-known to Rav Herzog when he wrote his work on the topic of Techelet. And, as he himself pointed out, it seems clear from several Biblical and historical sources that the Jews and the gentiles extracted their blue dyes from the same creature (HaTechelet pp. 426-7. See also Shabbat 26a, and Rashi ad loc. "U'Lyogvim" -MK). Nevertheless, he rejected the idea that one or all of these species may be the true *Techelet* Chilazon for several reasons. First of all, the color of their shells is white, which contradicts the Gemara's description (quoted above) that the Chilazon's body "resembles the sea," i.e. is of a bluish hue. Furthermore, and more importantly, the dye extracted from these creatures is purple in color, and not indigo. The above-mentioned snails were clearly the source of Argaman, or "purpura" in Latin. However, Techelet, referred to in Latin by Josephus and Philo as "hyakinthos," may have been produced from another snail altogether! Over the last two years, serious research has been done to determine whether a blue dye can indeed be made from the Janthina's secretion. So far, the efforts have not met with much success. The secretion can produce a reddish-bluish color on a fabric, but within a matter of hours the color turns black. Aside from that, the dye washes right out of the fabric when brought into contact with water. In fact, the most advanced modern testing has not been able to even dissolve the secretion in any chemical solution -- the most basic requirement of any known dye. Instead of dissolving in liquid, the Janthina's ink forms a suspension. In this state, it cannot be induced to bind to a fabric. More research into the chemical makeup of the secretion is still necessary. Aside from this technical difficulty, there are several problems with identifying the Chilazon as the Janthina snail. For one thing, as with the cuttlefish, it is no more common along the shore of Zevulun than anywhere else in the Mediterranean. For another, as Rav Herzog himself points out, no Janthina shells have ever been discovered in any archaeological site, nor is it mentioned anywhere in the Greek or Roman literature that discuss blue dye. It thus appears not to have been in use in the ancient world. A contemporary of Rav Herzog's, Alexander Dedekind of Vienna, suggested in his work Archeological Zoology (Vienna, 1898, p. 467) that the blue dye of Techelet actually did come from the snails found near the ancient dye vats. He differentiated between the Techelet and the Argaman snails, singling out Murex Trunculus (known in modern Hebrew as "Argemon Keheh Kotzim," for "short spiked Purpura") as the source of the blue Techelet. In contrast, the other two species were used exclusively for the production of Argaman. He based this distinction on the fact that not far from Sidon an ancient dyeing site was discovered which had near it two separate piles of shells. In one pile the shells of Purpura Haemastoma and Murex Brandaris were mixed together, while in the other only shells of Murex Trunculus were found (HaTechelet, p. 421). This certainly seems to support the idea that Murex Trunculus was used for a different purpose than the other two snails. In fact, the M. Trunculus produces a slightly "bluer" dye than the other two. Although he personally favored his Janthina theory, Rav Herzog himself reluctantly admitted that "the logical conclusion would certainly appear to be that the blue pigment produced by the Chilazon was obtained using the Murex Trunculus dye... it is highly unlikely that the Techelet Chilazon was not the Murex Trunculus" (HaTechelet, p. 421). The evidence seems to point overwhelmingly to Murex Trunculus as being the source of Techelet. The other problem raised was that the secretion of Murex Trunculus turns purple and not blue. Rav Herzog himself raised the possibility that "there might have been some scheme known to the ancients for obtaining a blue dye out of this secretion" (HaTechelet p. 423). Sure enough, recent research has shown that when the secretion is exposed to bright sunlight immediately upon being extracted from the snail, the sunlight breaks down a certain chemical bond in the liquid and it subsequently forms a blue dye. In fact, the resulting dye consists mostly of components bearing the exact same chemical makeup as indigo! Although this is true of all three of the snails mentioned before, Murex Trunculus yields this blue color much more readily than the others. M. Trunculus does not require a lengthy exposure to the sun in order for the chemical reactions to take place. (Credit for this discovery goes to the late Otto Elsner of the Shenkar Institute of Fibers in Ramat Gan, Israel, whose essay on this subject can be found in HaTechelet, p.299-302 -- see also p. 423 note 39). It has recently been discovered, that cooking the dye in boiling water after it is extracted, also makes it take on a much bluer tint. All the difficulties seem to have been adequately dealt with -- except for one. What is the once-in-seven(ty)-years cycle of "coming up" ("Oleh Echad L'Shiv'im Shana") mentioned by the Gemara? Does the Murex Trunculus snail show any unusual prominence every seventy (or seven) years? So far, no such behavior has been determined in the Murex. It should be pointed out, however, that much of the headway made in Chilazon research is quite recent, and there has not yet been sufficient opportunity to study the nature of the Murex snail. We may yet discover that there is indeed some sort of regular periodical occurrence involved in Murex's life cycle. It is interesting to note that a few kilometers north of Haifa there is a ravine known to the Arabs as Wadi Hilzun, which is near a mountain called Mount Chilazon. Rashi (Megilla 6a, Sanhedrin 91a -- see also Rashi Menachot 44a) explains the "coming up" of the Chilazon, as the Chilazon emerging from the sea and ascending the mountains. Is it possible that every few years (or decades) there is some sort of mass migration of these snails through Wadi Hilzun and up Mount Chilazon, from which these places may have been given their names in ancient times? Only time will tell! In the practical realm, we must acknowledge the work of a scholar in Jerusalem named Harav Eliyahu Tevger (author of "Kelil Techelet"). Although faced with great technical difficulties and high costs, he undertook the project of locating and collecting enough of the M. Trunculus snails, mastering the technique of turning their secretion into a high-quality blue dye and applying the dye to wool. It has recently been discovered that cooking the purple dye obtained by Rav Tevger's methods in boiling water after it is extracted also makes it take on a much bluer tint. A hobbyist in England who has reconstructed historical dying processes using materials available to the ancients is also being consulted, in order to perfect the dying process. In 1987 (5747), his initiative first saw success, and he used his product to dye wool threads, according to the requirements of the Halacha, which were made into Techelet for Tzitzit for the first time in fifteen centuries! Along with three others who have dedicated themselves to this endeavor -- Joel Guberman, Ari Greenspan and Baruch Sterman -- Rav Tevger has formed the P'til Techelet Society (their email address is: tekhelet@jer1.co.il. Baruch's excellent article on the subject can be obtained through their Email address. An older version of it appears in the mail.jewish archives, Volume 8 Number 12). Just two years ago, they started to mass-produce their Techelet, using thousands of snails imported from various countries on the Northern Mediterranean coast that consider the snail a delicacy. Working on this project during their free time, the group is offering the Techelet to the public for cost-price; $50 a set. The group can be reached at tekheleth@netmedia.net.il or joel@netmedia.net.il . What does all this mean for us? Can it be said, halachically, that the true Techelet -- or at least a very likely candidate for it -- has been "rediscovered?" Is it now binding upon us once again, as it was in antiquity, to add this dye to our Tzitzit? Halachically there does not yet seem to be an obligation to wear the present Techelet. True, there is a rule that "When there is a doubt as to the correct Halachic ruling, one must follow the more stringent view when it comes to a question of a Torah (as opposed to Rabbinical) precept." This would seem to imply that even if our identification of Chilazon with Murex Trunculus is not absolutely certain, we should be obligated to wear the newly discovered Techelet "just in case." Nevertheless, due to various considerations which are not within the scope of this article, that ruling would not seem to apply in this case. However, there is another interesting ramification of the emergence of the Techelet. Rav Chaim Vital in Shaar HaKavvanot (Tzitzit, Drush 4) writes that Techelet represents Hashem's presence being clearly felt by all. This is why, he tells us, Techelet was only widely accessible during -- or close to -- the times when the Temple was standing. These were the times when Hashem's Presence among Israel was manifest for all to see. After the exile and its attendant hardships intensified, however, when Hashem's Presence among His people is less evident, Techelet became "hidden" as well. If so, the "return" of Techelet may be taken as an indication that the manifestation of Hashem's Presence in this world, too, will be returning to its former state. (There is also a tradition from Rav Nachman of Breslov that some time before the advent of the Messianic era the Mitzvah of Techelet will be reinstated -- HaTechelet p. 186 note 21, see Likutei Tfilot 1:49). Some Rabbinic authorities even showed reluctance to acknowledge the Halachic validity of the various Techelets because of these far-reaching implications. Whatever hidden meaning there may be in the almost mystical reappearance of the Chilazon and the Techelet during the past decades, may we merit to actually see Hashem's hand in the final redemption, speedily in our days!